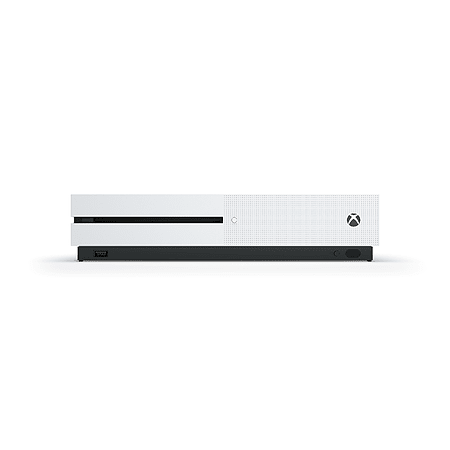 Introducing the new Xbox One S. Play the greatest games lineup, including Xbox 360 classics, on a 40% smaller console. Experience richer, more luminous colors in games and video with High Dynamic Range. Stream 4K video on Netflix and Amazon Video, and watch UHD Blu-ray™ movies in stunning 4K Ultra HD. Then get the enhanced comfort and feel of the new Xbox Wireless Controller, featuring textured grip and Bluetooth® technology. With all the biggest blockbusters this year, everything you loved about Xbox 360 is even better on Xbox One. 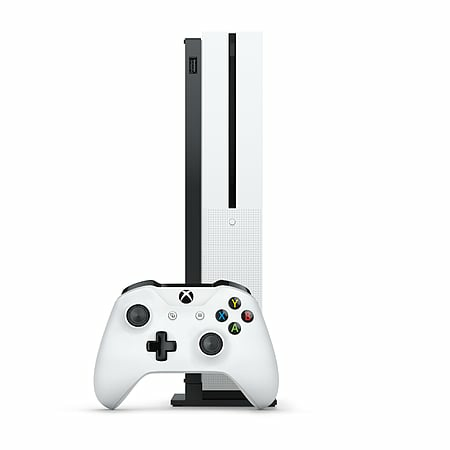 *4K streaming with select apps, see xbox.com. Some apps require app provider-specific subscriptions and/or other requirements. 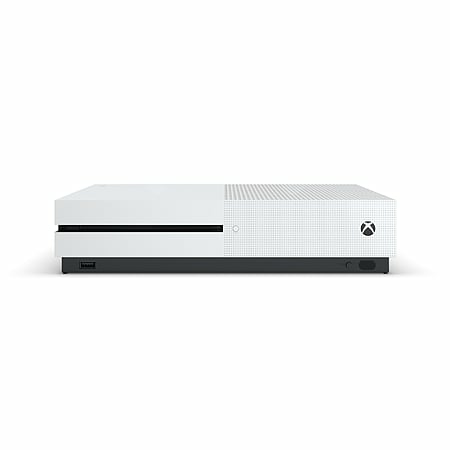 See xbox.com/live. HDR functionality available with supported games and TVs. 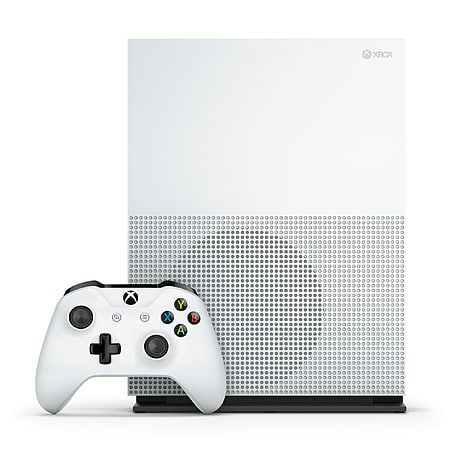 Xbox One Backward Compatibility feature works with select Xbox 360 games, see http://www.xbox.com/backcompat. Xbox Live and broadband internet required for initial download of game to console. Stand sold separately.